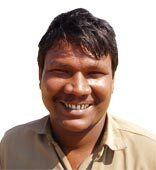 My name is Samson and I am an Auto-Rickshaw driver here in Chennai, formally known as Madras. You can find me outside of the Taj Coromandel Hotel in the heart of the city. I am a very safe driver and can take you anywhere you would like to go. I know Chennai very well so whether you are looking for a tour of the city, somewhere to eat and drink or wishing to venture further afield then I would be happy to assist. I can also help you to find almost any type of goods from curtains to clothes and silver to stationary, just name it! And the Tuk-Tuk is far more fun and cheaper than a taxi too! Please look around my site and when in Chennai – Just ask for Samson! An article about Samson and the building of this website.